Are you hungry to achieve excellence? Are you seeking the tools to realize the highest version of “you”? Do you seek a career path which promotes upward mobility? Find your new home at Moshulu! We are hiring for both SEASONAL positions and YEAR ROUND! We are part of Fearless Restaurant Group; a multi-concept group of 11 independent restaurants based in Philadelphia, PA and Long Beach Island, NJ. As a company, we are defined by our talent, teamwork, resources, opportunity and a workplace built on loyalty and respect. We're a creative, ambitious business with an aggressive growth strategy and require like-minded leaders to join us as we move forward. 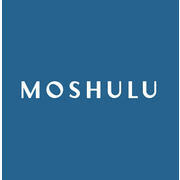 Moshulu Restaurant is a renowned Philadelphia restaurant ranked by Craig Laban as 3-bells. It is the world's oldest and largest four-masted Tall Ship offering unsurpassed views for extraordinary dining aboard this Philadelphia landmark restaurant. The Moshulu is currently undergoing a grand renovation and we want people who are excited to bring the energy and passion! The busser candidate is positive, quick, responsible, hands-on, and a team player that has strong communication skills and can handle multiple tasks in a friendly manner with grace and composure. The world’s oldest and largest four-masted tall ship offers unsurpassed views and a unique backdrop for intimate to extraordinary dining and celebrations. From the restaurant, to our private dining rooms, and outdoor open-aired and tented decks, enjoy inventive and contemporary presentations of classic American cuisine combined with impeccable service creating a memorable experience.